The EXO3 Attack came back last year and was a huge success for all the Ektelon fans that have been missing that frame for years. For 2011-2012 Ektelon added another Attack called the EXO3 Attack Lite which starts at a 165 gram weight and can increase depending on how you choose the inserts. The Attack Lite is one of the lightest and most maneuverable racquets they have ever created. This racquet can be ordered with different inserts to increase the balance and weight slightly. 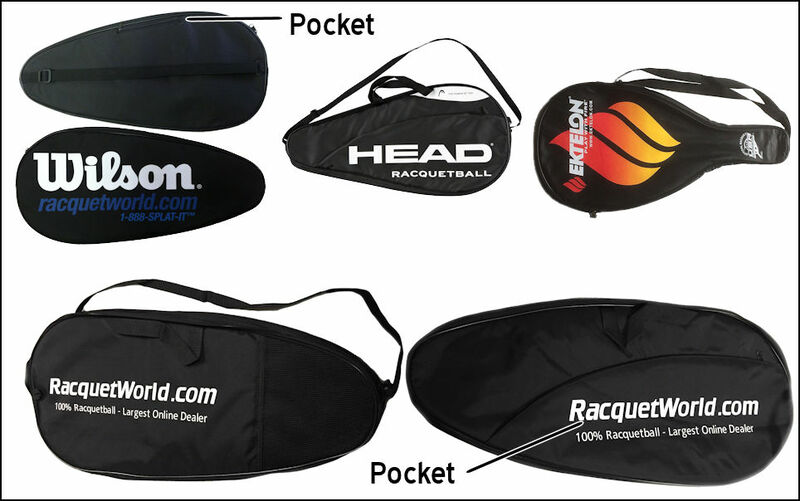 Please take a look at our Insert Chart (Technology Tab) to see how you would like your racquet designed. For a nominal $10 charge you can switch to a different weight setup or you can purchase the weights so you can have them done at a later time you have your racquet restrung. If you want us to install the different inserts make sure you choose a string upgrade as well for $21.95 along with the weight setup of your choice. Any questions let us know! i Have this as my “ go to “ racquet when I’m playing for a few hours. It’s just a little lighter than my 170 and equally as solid . I love the tightness of the strings, it gives me a good solid hit. The grip is also a good fit, non-slip grip. The New EXO3 Attack Lite comes with Yellow Energy Bridge Inserts. These bridges allow you to customize the weight and balance of your frame, putting you in total control of making the right racquet selection for your game. You can purchase a pack of Silver Energy Bridge Inserts for $10 to add weight to the frame. The default from the factory is all Yellow inserts for a 165g weight (Ultra Light choice in the table below). The inserts are strung into the racquet so to change them the racquet must be restrung. The New EXO3 Attack Lite comes with Yellow energy bridge inserts strung from the factory for the lowest possibel weight. These bridges allow you to customize the weight and balance of your frame, putting you in total control of making the right racquet selection for your game. The default from the factory is all Yellow inserts for a 165g (unstrung) weight. The inserts are strung into the racquet so to change them the racquet must be restrung. EXO3 features The Energy Channel, a radical new frame design which creates elongated open channels located at the 12, 3 and 9 o'clock positions of the frame  which moves the mass to the outer most edges of the frame for exceptional stability. Complementing the Energy ChannelTM of EXO3 is a visible, engineering breakthrough called the Energy BridgeTM. Soft thermoplastic pieces are inserted into the Energy Channel to create an exo-skeletal bridge structure along the outside surface of the frame. The result is a string bed that is almost entirely suspended from the frame itself. Energy ChannelTM  A sculpted groove within the frame that enhances the dynamic benefits of the Energy BridgeTM to provide added stability, boost ball control and increase spin.